Please join us for flag football camp! 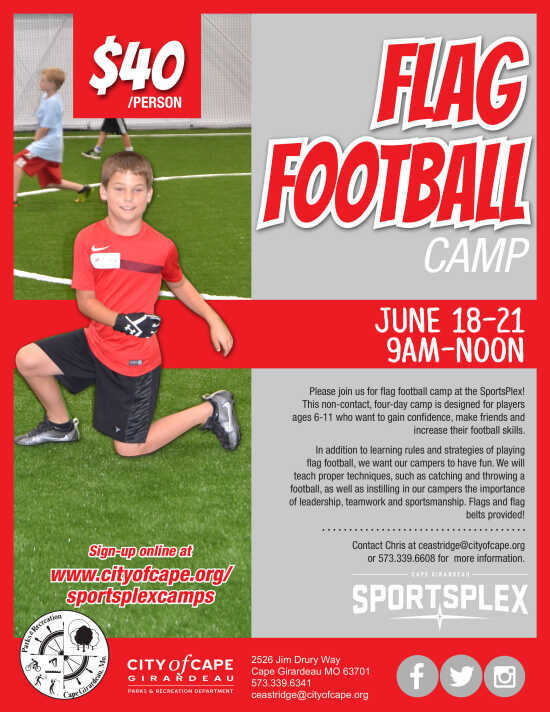 This non-contact, four-day camp is designed for players ages 6-11 who want to gain confidence, make friends and increase their football skills. For more information about this league please contact Chris at ceastridge@cityofcape.org.